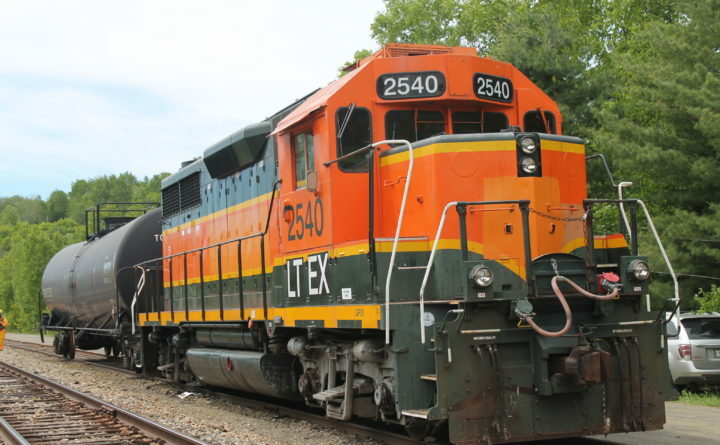 A Central Maine and Quebec Railway locomotive and tank car were used in this June 2015 training exercise in Greenville Junction. 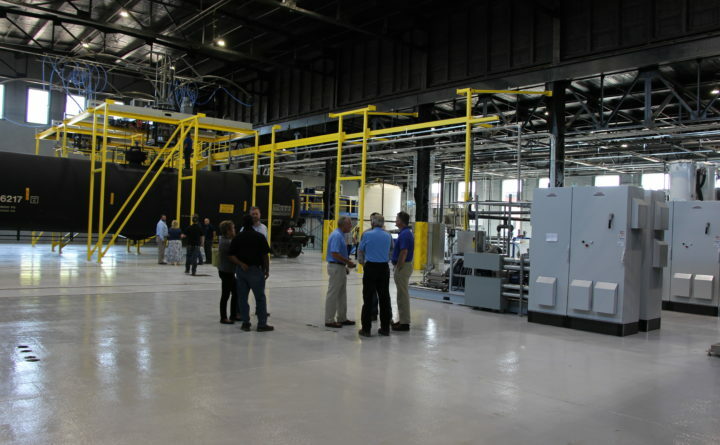 On Thursday CMQ’s subsidiary, Katahdin Railcar Services, opened a repair and cleaning facility in Derby. Central Maine & Quebec Railway opened a new facility Thursday in Derby to clean, repair and manage fleets of railroad tank cars. CMQ, based in Bangor, will do so through its Katahdin Railcar Services wholly owned subsidiary. KRS already has hired three employees, and plans to hire another three within the next six weeks, said Gaynor Ryan, CMQ’s chief administration officer. Ryan said CMQ has invested $7 million of its own money into the new facility. KRS has rehabbed a 24,000-square-foot building on CMQ’s 110-acre facility in Derby. The new facility will repair, replace and qualify tank-car valves, plus clean and inspect cars at the end of their lease. Storage also is available for as many as 1,400 railcars. The company said it can clean and repair all types of tank cars. “We’re proud of the fact we can take an existing building that’s more than 100 years old, rehab it completely and continue to invest in the community by using local contractors,” Chad Mowery, CMQ’s vice president of operations, said in a prepared statement. Mowery said KRS also will offer tank-car fleet management, a service already offered to CMQ customers. He said there are a lot of third-party tank car facilities in existence, but claims his has more flexibility to handle and store more cars. Information on how many people KRS might hire and how the building rehab was funded was not immediately available. Fees for its services also were not disclosed. CMQ bought the former Maine Montreal and Atlantic Railway in 2014 after a driverless derailment and explosion in 2013 that killed 47 people in Lac-Megantic, Quebec, Canada, pushed MMA into bankruptcy. CMQ, a subsidiary of Fortress Investment Group, offers fright service over about 500 route miles in Maine, Quebec and Vermont.